A clean home is bliss. Clean and tidy home attracts a healthy environment for the family members and leaves a lasting impression on your guests. A clean home is important for the well-being of the family members as well as the guests. 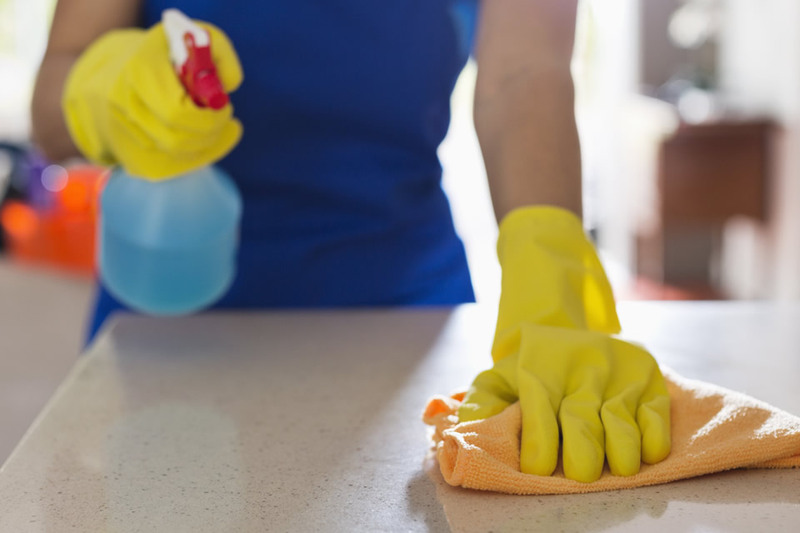 To keep disease away from your home, you need to keep your home clean and tidy always. How are you going to keep your home clean and tidy always? That is the first question comes to your mind when you think about house cleaning services in Dubai. Are you worried that you have less time to spare for cleaning in your busy schedule? No need to worry! Spectrum cleaning services provide the best house cleaning service in Dubai just for you. Spectrum cleaning services is one of the leading cleaning companies in Dubai that specializes in residential and commercial cleaning services. They provides the best and professional part-time maids in Dubai for cleaning services in Dubai. House cleaning service in Dubai by Spectrum is provided at affordable rates. That is one of the best reasons that make Spectrum one of the best cleaning companies in Dubai. Hiring a professional house cleaning service in Dubai sometimes costs too much. Many people cannot afford it. However, Spectrum came with this view that they offer cleaning services at affordable rates so that everyone can benefit from it. Spectrum offers the best house cleaning service in Dubai. They will take care of your home and clean it in the best possible ways. House cleaning service by Spectrum will clean each and every corner of your home and provides the best cleaning services. Maids will clean and dust the entire house and give special care to each and every room in your home. Spectrum also provides customized house cleaning service in Dubai. Maids from Spectrum will work according to the instructions of the house owner and provides exceptional cleanings services. House cleaning service will help to keep dust allergies away. Part-time maids ensure that your lovely home is filled with fresh air and free from any diseases caused due to dust. Maids from Spectrum make sure that your home is cleaned so that your children will be able to live in a more healthy and hygienic environment. Spectrum cleaning services provide the best part-time house maid services in Dubai. Part-time housemaids from Spectrum are skilled, knowledgeable, trained professionals who will do the cleaning with utmost perfection. They will help you to clean every corner of your home and clean the areas that are usually neglected by amateur cleaners. Maids from Spectrum will not rest until they will clean the entire house and makes sure that cleaning is spotless. Spectrum hires the best professionals for house cleaning service in Dubai. Spectrum cleaning services make sure that they hire maids only after an extensive background check and scrutiny. This is done to provide a peace of mind to the clients who are doubtful to have a stranger in their home. Hire professional house cleaning service in Dubai only from Spectrum.